We have issues making pizzas; the times when we have tried to make our dough and pizza, it has resulted in slight fires and smoking of the oven. (Our oven is still not working, but we have an awesome toaster oven into which this specific pizza fits). 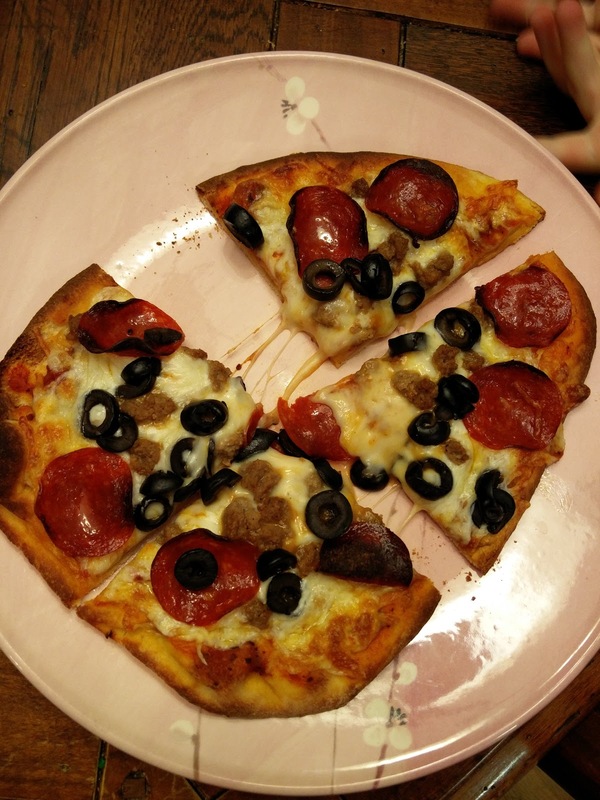 We used a naan bread that we bought from the store and toppings that we have picked out. This is super fast to put together and tastes a million times better than frozen pizza! 5. Bake for 10 -15 minutes until cheese is melted. Super easy and delicious. Was especially great dipped in Dion's ranch dressing. He actually loved the pizza!